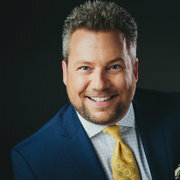 Dr Jason M. Petrungaro, M.D., F.A.C.S. We Make Your Beautiful Happen! Doctor Jason Petrungaro is a board certified Plastic Surgeon specializing in all aspects of aesthetic surgeries of the face, breasts, and body. Doctor Petrungaro proudly serves the residents of northwest Indiana and Chicagoland. After graduating with honors from the University of Notre Dame, he received his medical degree from Indiana University School of Medicine. From there Dr. Petrungaro completed a full General Surgery residency in Chicago, IL; a Hand Surgery fellowship in Rochester, New York; and his Plastic Surgery residency in Memphis, TN. He is currently in solo private practice in Munster, IN. Just upload three standard pictures today to see a 3D simulation during your next appointment with Dr Jason M. Petrungaro, M.D., F.A.C.S.. Before the consultation, you can visualize your current 3D body or face and, after the consultation, get access to see your new look from home so you can share with friends and make a better-informed decision. During your next appointment you will be able to discover your "new you" while getting all the advice from Dr Jason M. Petrungaro, M.D., F.A.C.S. After the consultation, Dr Jason M. Petrungaro, M.D., F.A.C.S. may let you access your "new you" from home with your own Crisalix account. This will allow you to share it with your family and friends or anyone you would like to get their advice.